Over 200 antiques from a waterfront Westport estate owned by a design CEO are heading for auction at The Benefit Shop Foundation with part of the proceeds going to charity. On December 5, The Benefit Shop Foundation will sell over 200 items from the Edelmans' Westport home to benefit DIFFA (Design Industries Foundation Fighting AIDS) and other charitable organizations. With a mission of “to donate, to discover and to do good,” the Benefit Shop is a registered 501(c)3 non-profit and auction proceeds support community organizations. Consignors get a tax deduction, the buyer gets a great deal and local non-profits get much needed funds. The Edelman estate auction will take place on December 5 as one of The Benefit Shop Foundation's monthly Red Carpet sales that feature choice collections of antique, Midcentury Modern, brand furnishings, sterling, china, crystal, jewelry and fine art. 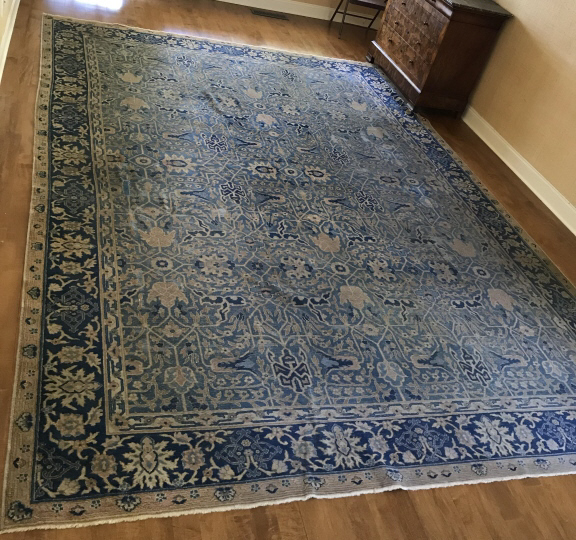 This Indian Amritsar carpet is room size (9x13 ft) and is wool with a cotton foundation in shades of blue and ivory. Amritsar rugs are distinct because unlike other rugs from India that were inspired by Persian style, these rugs developed in northwest India during British colonial rule and express European influence. They were extremely popular in Europe and North America beginning in the mid 1800s and are still highly coveted today. This antique George III mahogany serving table dates to 1775 and is decorated with leaf and fruit garlands carvings, with part fluted and reed tapered square legs ending in spade feet, measuring 36 by 81½ by 27 inches. This piece is very characteristic of the Georgian period in its use of mahogany and ornamentation. 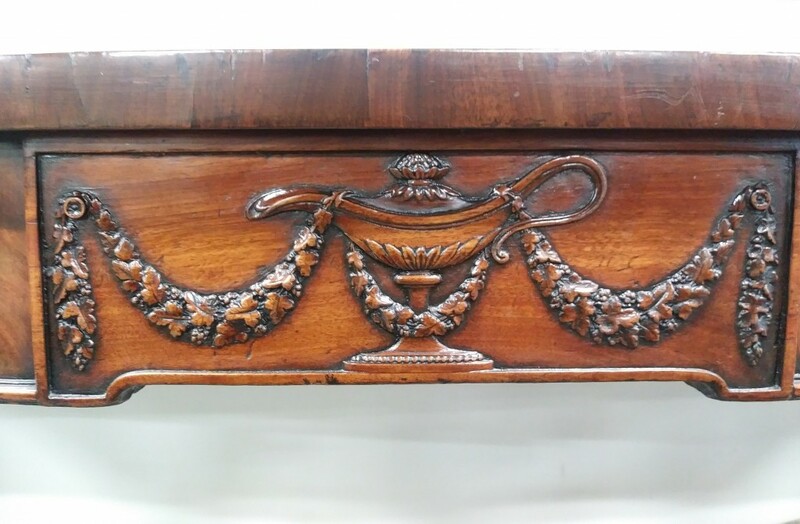 Mahogany supplanted walnut as the most popular furniture material when it was imported from the Central and South America under the rule of King George I, II and III and furniture began to feature intricate embellishments as mahogany is more pliable than walnut. 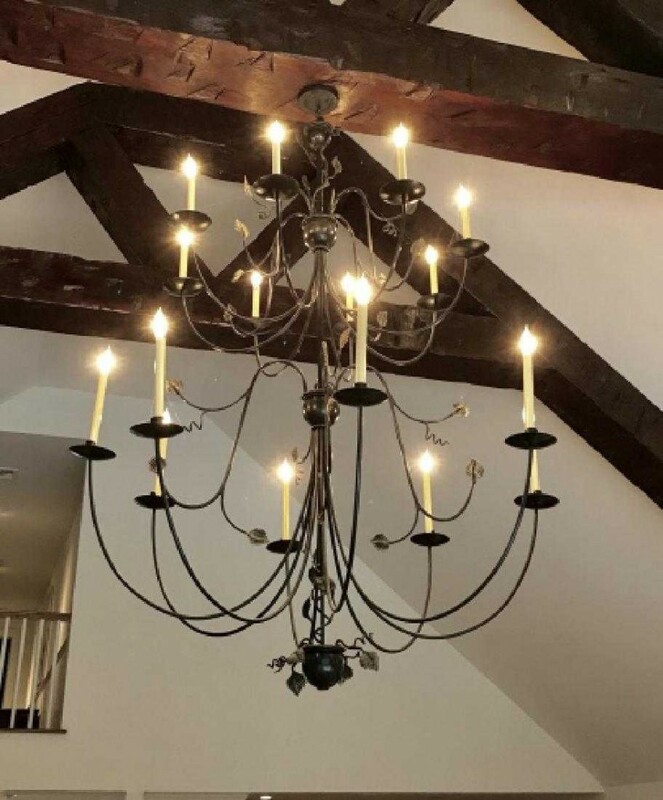 This graceful chandelier almost belies its weight with its thin iron tiers elegantly curved to hold up to 16 candles. This fanciful French antique is certainly a statement piece to hang in the most prominent section of your home and creates an inviting atmosphere when lit. 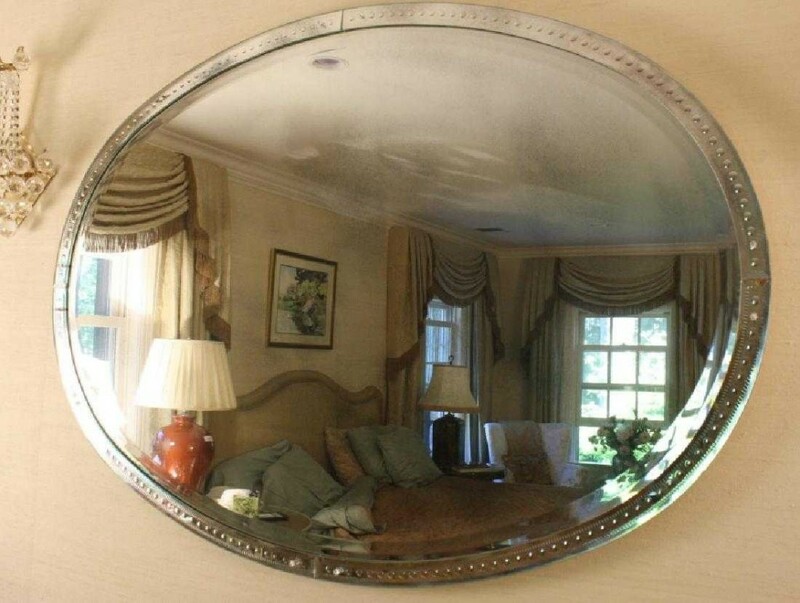 This timeless oval mirror in the Art Deco style is ringed with convex circular mirror dots in the border, and measures 39 by 56 inches. It was originally bought from the Lorin Marsh showroom in New York's famed D&D Design center and is a classic addition to any room. 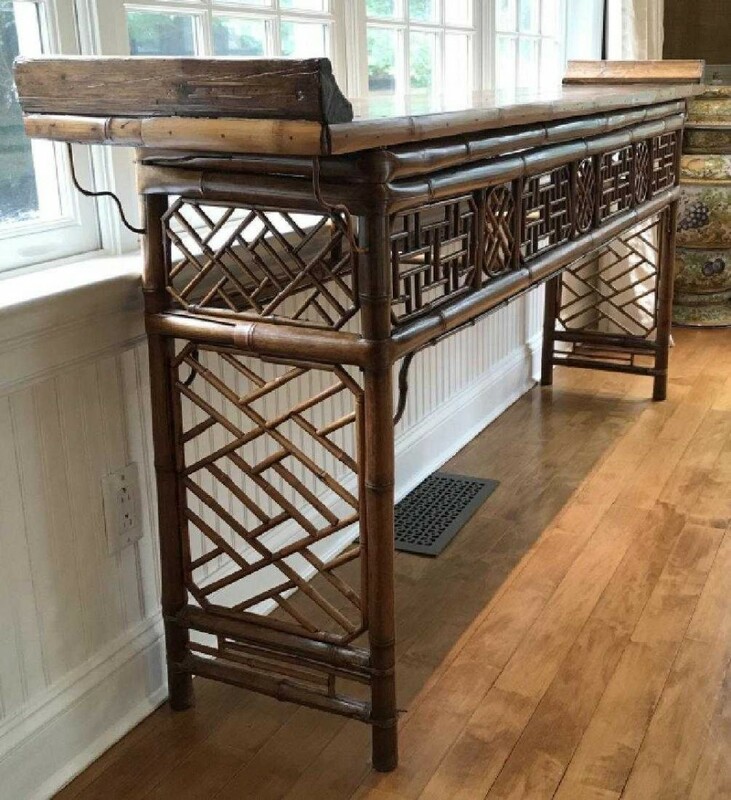 For fans of Chinese furniture design, on offer is this bamboo and wood altar table that boasts scrolled sides, detailed fretwork and latticework.